In the game, players take the role as a fairy in an isolated boarding school who attempts to solve a mystery. Every souls game has two parts, the game play and the lore. People make extensive videos of how to become best at PvP, how to speedrun the game in 1 hour and there are several wikis with weapon statistics, builds and such. Then there’s the other part, Prepare to Cry, where youtubers make long videos about characters in the game, 20 minute lore walkthroughs of each area or just the different meanings of the word “blood” in Bloodborne. What if From Software would make a game without the fighting, and dying, and gore. Instead they would focus on lore, world building and narrative. Would that game stand on its own or would it feel like half a game? 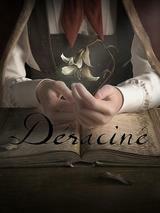 Déraciné is a walking simulation with some light puzzle elements exclusive to PlayStation VR. Breathe that in! This is a souls game without blood and violence experienced in first person VR. No need for binoculars this time. The details are amazing. First of all, this really feels like From Software. Everything from the setting, the music, the dialogue, the characters and the story. It is so much Miyazaki that you can feel him through the LCD screen. The design of everything in this game is on point and having played several VR titles by now, Déraciné really stretch the capabilities of the platform to unexpected heights. The game is gorgeous and plays very well. The story is about kids in a boarding school, and you, a fairy appears in their school. You are an invisible creature that lives where time stands still, so you appear in a particular point in time, where you can choose to interact with parts of the world before you travel on to the next epoch. This is both a story telling element, but also a way to make the most of the platform. It is much easier on the PS4 when things aren't constantly moving, and you don't experience motion sickness the same way. First I thought this fairytale was kind of silly, but after playing it for a while I got emotionally invested in the kids and found myself by the end crawled up in the corner of my couch so scared that anything bad would happen to them. Because it is a souls game after all, and just because you can’t die in this one, doesn’t mean that nobody else can. After finishing it I watched EpicNameBro stream his first experience with the game, and watching the content for the second time, I understood much more of what's really going on. Things that I naively accepted the first time playing, just turns out very creepy the second time you experience it. I still have a lot of questions about the story. Questions I guess I will not figure out until a lore master comes along and make lore videos about it. The thing is, I don't think this game will get as much attention as the Souls game as it is only available for PSVR. Why is that? Probably because Sony wants a system seller for PSVR, but I'm sad that not as many games will be able to experience this gem of a game. This game is great, but the story does not really excel. It is interesting, scary and make me think, but there are much better storytelling out there in other walking sims. Sometimes I feel that From Software try to complicate things just in order to make them complicated. Like the time travel bits of Dark Souls 3. All the puzzles are very logic, and I never really got stuck, which is something I really appreciate. But what I miss is the ability to interact more with the world. I should be able to combine things in my inventory with items in the world that not necessarily pushes the story forward. Just to be able to experiment. Yes, it might cause the puzzles to be harder to solve, but it would make the world much more interesting. If you have a PSVR you should get this game and play it, because it is one of the most well made game for the platform. But I don’t think of it as a system seller the way Bloodborne was for PS4. If you get the chance to experience it, do so! but you don't have to go out and spend $200 on a VR headset.